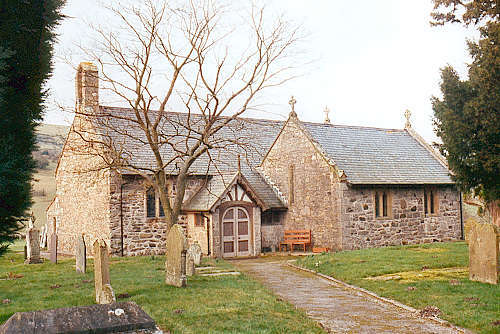 The ancient parish comprised the townships of Bodynwyddog, Bryntangor, Gwythina, Tre'rllan and Talybidwal. The church, which is dedicated to St. Tysilio, was mentioned in the Lincoln Taxation of 1291. It was restored in 1875. The church has a long association with the Yale family of Plas yn IÃ¢l (between Bryneglwys and Llandegla), the forebears of Elihu Yale, the benefactor of Yale University in New Haven, Connecticut, USA. Two members of the family have been incumbents of the parish and the Yale Chapel, to the south of the chancel, is built over the entrance to the Yale family vault. For family history information about the church and parish, visit the GENUKI Bryneglwys page.